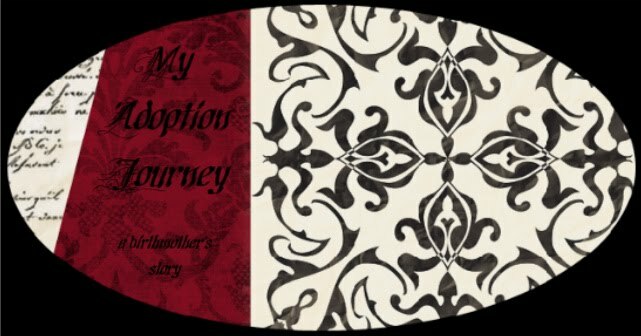 My Adoption Journey: I'm still here! My name is Sterling, I'm 22-years-old, and I am the birthmother to the most gorgeous little boy in the world. 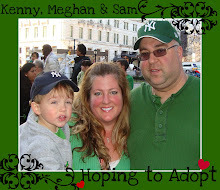 I started this blog to share my experiences, thoughts, and help myself move forward after placing my sweet little boy. If this is your first time visiting my blog, I invite you to read my story (top of the left column). Feel free to comment with questions or requests. If you follow me, I'll follow you! Wow.. it has been a very, very long time since I last posted to this blog. Over a year! In July we celebrated our 2 year (whattt???) anniversary. It was simple and wonderful. Fast-forward to the end of June... IT WORKED! AMY IS PREGNANT! Her due date is in less than two weeks now - March 4. She is having a little boy. David will be a big brother! Oh, I seriously can't contain my excitement about this... I get giddy every time I think about it! Little David turns 4 today - and it feels a little surreal. He's a little boy, not a toddler! We're hoping to Skype this afternoon, depending on how their schedule is and how Amy is feeling (oooh... those last two weeks of pregnancy are soooo hard...). Oops, I forgot to mention my little bit of fun news... We're having another baby, too! I'm due May 19... so I still have a few months to go. It's a boy. We are thrilled. I've had some thoughts running through my head the past few days about why I still grieve over placement, but I'm okay with where I am now and how everything has turned out. I'll be posting my full thoughts within the next week. But if any birthmothers are reading this - do you ever feel guilty for not regretting, or for feeling at peace? I'm curious, because I always feel a strange mix of joy and sadness... the sadness because I still remember very strongly how heartbreaking placement was, but joy because my life and Dave and Amy's lives have turned out so beautifully. It's contradictory, it feels, to not have regret. 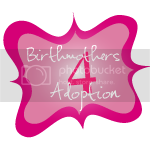 I often hear that I should, or I will later, or that I'm drinking the adoption kool-aid (see birthmothers4adoption in regards to this...) and have been brainwashed. But the truth? The Lord knows my heart, and has blessed me beyond what I feel I deserve. I know this, I believe it. The peace I feel is because of Him, and the sadness I feel is because I am human and I NEED to remember it - if I don't, I won't remember to depend on the Lord.